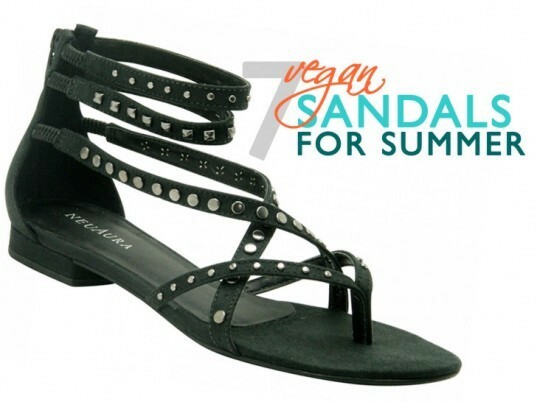 If you’re looking for a stylish and green way to let your tootsies cool off this summer, then take a cue from our vegan sandal guide! We’ve rounded up 7 sweet picks that are 100 percent animal- and cruelty-free, and boast the benefit of being effortlessly chic, to boot. With the range of styles and materials available, jump ahead and pick out some kicks that will compliment your lovely pedicure all summer long! If you're looking for a stylish and green way to let your tootsies cool off this summer, then take a cue from our vegan sandal guide! We've rounded up 7 sweet picks that are 100 percent animal- and cruelty-free, and boast the benefit of being effortlessly chic, to boot. With the range of styles and materials available, jump ahead and pick out some kicks that will compliment your lovely pedicure all summer long!